After a brief 23-game call-up towards the end of the 1981 season, Hall of Famer Cal Ripken, Jr. began his first full season with the Baltimore Orioles in 1982. Ripken’s 28 home runs and 95 RBI were enough to earn the future Iron Man the American League Rookie of the Year. The following season, Ripken led the AL in hits with 211, doubles with 47 and runs scored with 121 as he was named the AL MVP and led the O’s the World Series title. 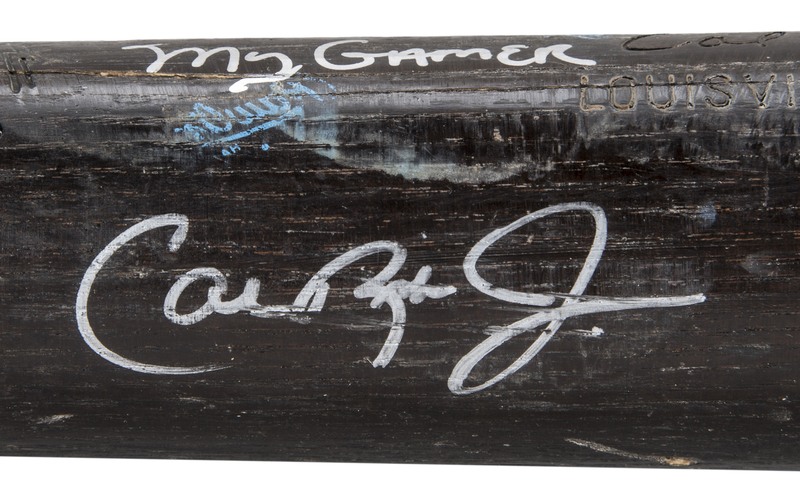 This offered Louisville Slugger P72 model bat was used by Ripken during his rookie era of 1982-83 where he was AL Rookie of the Year and AL MVP. 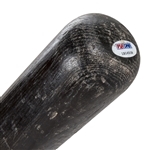 This bat displays outstanding game use and has a crack on the handle. 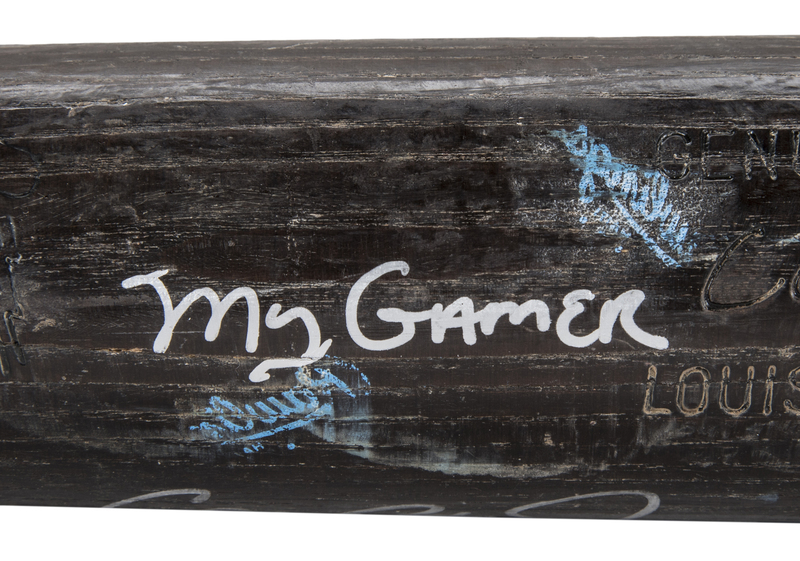 There are numerous ball marks, stitch impressions, blue ink transfers and cleat marks throughout the barrel. 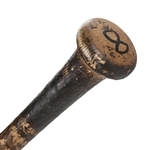 The knob has Ripken’s number “8” handwritten in black marker and the handle has a heavy coating of pine tar. 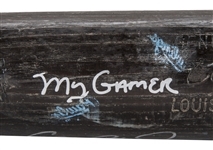 Ripken has signed his name in silver marker on the barrel and inscribed “My Gamer”. A terrific early-career gamer from baseball’s Iron Man tied to his early-career success and it comes with a LOA from PSA/DNA (1B16539) for the game use and has been graded a near-perfect GU 9.5. Additionally, there is a COA from Beckett Authentication for the signature and inscription.